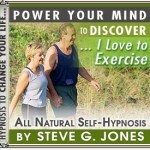 Steve G Jones is a well-known clinical hypnotherapist with a very impressive CV. 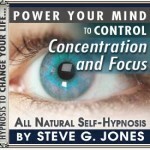 He sells 1000’s of hypnosis recordings on his website here: Steve G Jones Website. We have reviewed many of his self-hypnosis sessions and have compiled our top 10 favorites. We actually have 10 hours-worth of recordings on this page, for you, FOR FREE!!! Which hypnotic video to choose? Concentration and Focus Platinum Hypnosis. I Love to Exercise Platinum Hypnosis. Overcome Fear of Rejection Platinum Hypnosis. Stop Binge Eating Platinum Hypnosis. Hypnosis is a very powerful tool used to help resolve issues that we might have. These problems often stem from the ‘poor programming’ of our own minds. Even if you have a physical problem (e.g. excess weight), the key to resolving many of these issues starts with getting our own mindset right. The role of a hypnotist is to put us into a relaxed state. This allows them to communicate with our sub-conscious mind. And it’s our sub-conscious mind where real changes can be made. Will I fall asleep and never wake up? These recordings are designed to be watched or listened to at night before you go to bed. Therefore, there is a chance that the relaxing nature of these recordings, together with the soothing tones of Steve’s voice, will mean that you will drift off into a natural sleep. If you do fall asleep then you will wake up naturally as you would do after any other time you might fall asleep. In all other respects your body will function as it would normally do when you fall asleep. It doesn’t actually matter if you do fall asleep, the messages will still be heard by your subconscious mind. Choose which area of your life you’d like to change. Use headphones if you have them. Repeat this process every day for 3 weeks (try not to miss any days). Each of these recordings is about 1 hour-long, so there is plenty of time to relax and really take in the whole hypnotic experience. Do I have to play the video all the way through? Yes, we highly recommend that you do. Steve G Jones will actually take you on a hypnotic journey in these recordings. This is all part of the process. If you only play the first 20 minutes (for example) you are merely going through the hypnotic induction – which is only the preliminary relaxation process. Why have I got to do this for 3 weeks? Some people respond positively to hypnosis after just one session. However, everyone is different. You may think that your problem has been resolved after a few days, but it is probably just your ego telling you that “everything’s okay”. Don’t forget, it’s your ego which has kept you stuck in this ‘unwanted place’ in the first place. So sometimes we just have to beat our ego into submission; and we can easily do that with repetition. Can I try several videos? It is common for people to see the list of videos on this page and immediately want to change more than one area of their life. Don’t worry if this is you, you are not alone. However, we highly recommend that you focus on just one area of your life at a time. Start with the most pressing issue you have, because once you have that area of your life ‘in a better place’ then the other areas tend to fall into place a lot easier. Why? Because you are less likely to be stressed having removed the #1 problem in your life. And the less stress you have, the easier it is to make changes with hypnosis. After that you should notice a massive positive shift in your life. What are those orange “Download” buttons below the videos? Underneath each video is a button for you to access the even more powerful full audio versions, in stereo, with binaural tones. Binaural tones are an advanced way of lowering your brain-wave frequency to suggestible levels – making the hypnotic recordings even more powerful. If you are really serious about making positive changes to your life, then you may want to explore having your own copy of the advanced mp3 audio recordings, which you can download and play at any time. You can read more about the difference between the gold & platinum hypnotherapy recordings by clicking on the appropriate orange download button. Do not play these recordings when operating machinery, or driving a vehicle. Due to the spiraling nature of the visuals used in these videos, please seek advice about playing these recordings if you suffer from conditions such as epilepsy. Watching the spiraling images is not necessary for a successful hypnosis session and they can actually play tricks with your eyes after a while. We would therefore recommend playing the videos with your eyes closed. 1. Concentration and Focus Platinum Hypnosis. Click either the Gold or Platinum download button and scroll down until you see “Concentration and Focus“. 2. I Love to Exercise Platinum Hypnosis. Click either the Gold or Platinum download button and scroll down until you see “I Love Exercise“. 3. Love Magnet Platinum Hypnosis. Click either the Gold or Platinum download button and scroll down until you see “Love Magnetism“. 4. 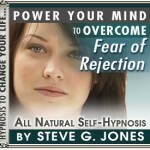 Overcome Fear of Rejection Platinum Hypnosis. Click either the Gold or Platinum download button and scroll down until you see “Fear of Rejection“. 5. 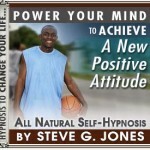 Positive Attitude Platinum Hypnosis. Click either the Gold or Platinum download button and scroll down until you see “New Positive Attitude“. 6. Stop Binge Eating Platinum Hypnosis. 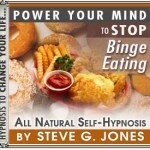 Click either the Gold or Platinum download button and scroll down until you see “Binge Eating“. 7. 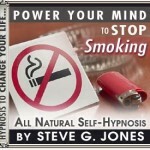 Stop Smoking Platinum Hypnosis. Click either the Gold or Platinum download button and scroll down until you see “Smoking Cessation“. 8. 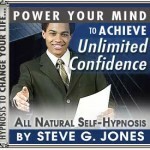 Unlimited Confidence Platinum Hypnosis. Click either the Gold or Platinum download button and scroll down until you see “Unlimited Confidence“. 9. 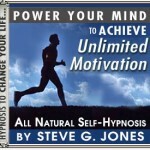 Unlimited Motivation Platinum Hypnosis. Click either the Gold or Platinum download button and scroll down until you see “Unlimited Motivation“. 10. 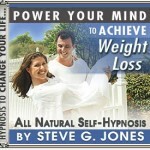 Weight Loss Platinum Hypnosis. Click either the Gold or Platinum download button and scroll down until you see “Weight Loss“. We hope that you get real benefit from these free recordings. Please leave a message in the comments section below telling us any other areas you’d like to see a free hypnosis recording on. As you would have seen if you’ve clicked on any of the download buttons, there are a LOT more hypnosis topics covered. So whatever problem you might have there is likely to be a hypnosis session that covers it. 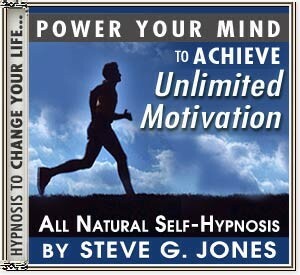 If you do decide to take any upgraded version from Steve G Jones official website, via our links, you will automatically qualify for 66 free personal development books (No, we’re not joking). You can see how to claim your copies here. Next → Next post: 5 Ideas to Get That To-Do List DONE! !